I am a self-professed timepiece junkie. I cannot help it. I am ALWAYS looking at watches and the shinier, more unique-the better. Sometimes watches are so stunning, it's the ONLY accessory you need. 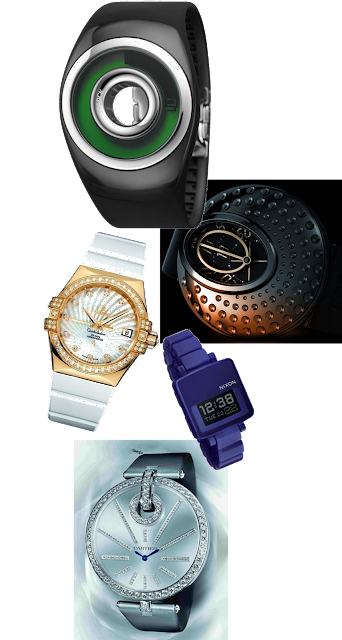 Here are several fabulous timepieces I LOVE! i love watches! i especially love to see a thick, chunky mans watch on a delicate female wrist. I love wearing men's watches! But I don't like when they look waaaay to masculine though.